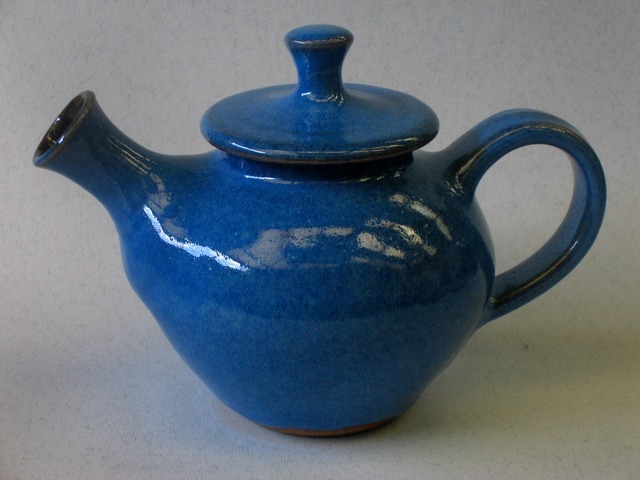 This small teapot holds approximately 12 to 14 fl. oz. and has a built in strainer at the base of the spout to filter loose teas. It is 4.5 inches high or 11.5 cm high.